In July of 2012, the citizens of Montgomery, Texas celebrated the 175th birthday of the City of Montgomery. The Early History of Montgomery, Texas was prepared by historian, Kameron K. Searle, to celebrate this event. 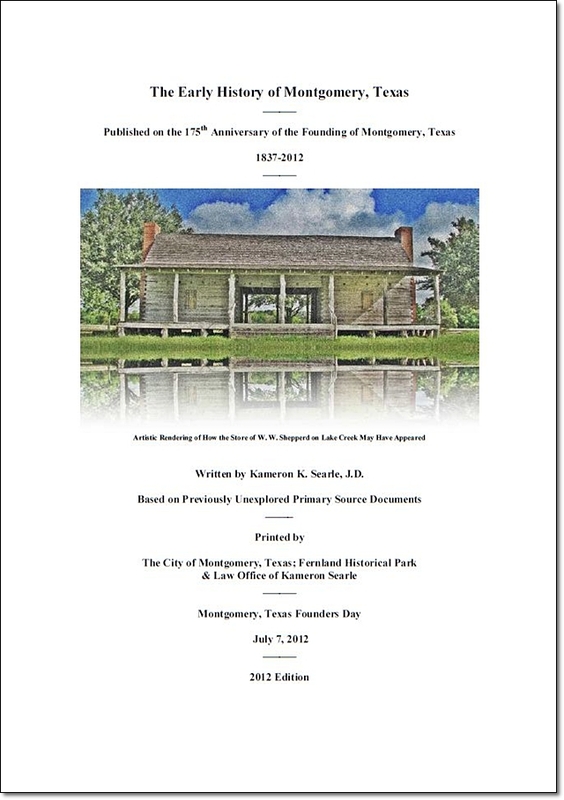 The booklet represents the most recent and up to date research regarding the Lake Creek Settlement and the early history of Montgomery County, Texas. Click on the link above or the image of the booklet below to download a complete copy of the booklet.